True unity of Christians: "the return to the one true Church of Christ"
...in the document of Vatican II on ecumenism, Unitatis Redintegratio, there is not a single mention of the two previous documents that deal with the ecumenical movement and other religions: Leo XIII's Satis Cognitum and Pius XI's Mortalium Animos. The approach to ecumenism and other religions in these documents is fundamentally different from the approach of the Vatican II document or Ut Unum Sint by Pope John Paul II. 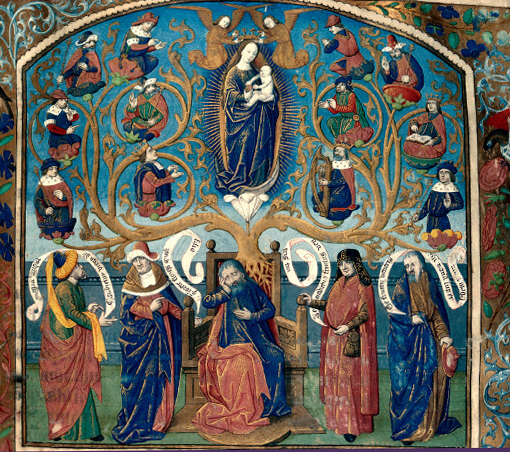 While the current Magisterium can change a teaching that falls under non-infallible ordinary magisterial teaching, nevertheless, when the Magisterium makes a judgment in these cases, it has an obligation due to the requirements of the moral virtue of prudence to show how the previous teaching was wrong or is now to be understood differently by discussing the two different teachings. However, this is not what has happened. The Magisterium since Vatican II often ignores previous documents which may appear to be in opposition to the current teaching, leaving the faithful to figure out how the two are compatible, such as in the cases of Mortalium Animos and Ut Unum Sint. This leads to confusion and infighting within the Church as well as the appearance of contradicting previous Church teaching without explanation or reasoned justification. "The Catholic Church abstained [from ecumenical dialogue] at the beginning. The encyclical letters Satis cognitum of Leo XIII (1896) and Mortalium animos of Pius XI (1928) even condemned the ecumenical dialogue which seemed to relativise the claim of the Catholic Church to be the true Church of Jesus Christ. Yet Pius XII already paved the way to a more open attitude, albeit with caution, in an Instruction of the Holy Office of 1949. However, only the initiative of Pope John XXIII (+1963) and the Second Vatican Council (1962-65) brought a shift. The conciliar Decree on Ecumenism Unitatis Redintegratio stated that the ecumenical movement was a sign of the work of the Holy Spirit in our time (Unitatis redintegratio, 1), opening the way for the ecumenical movement and highlighting the importance of dialogue with separated brothers and sisters and with separated churches and church communities." All Christians, they add, should be as "one": for then they would be much more powerful in driving out the pest of irreligion, which like a serpent daily creeps further and becomes more widely spread, and prepares to rob the Gospel of its strength. ... in reality beneath these enticing words and blandishments lies hid a most grave error, by which the foundations of the Catholic faith are completely destroyed. ...authors who favor this view are accustomed, times almost without number, to bring forward these words of Christ: "That they all may be one.... And there shall be one fold and one shepherd," with this signification however: that Christ Jesus merely expressed a desire and prayer, which still lacks its fulfillment. 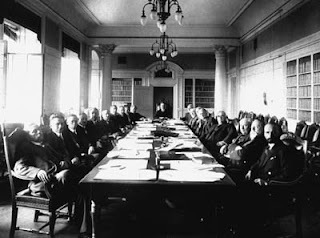 For they are of the opinion that the unity of faith and government, which is a note of the one true Church of Christ, has hardly up to the present time existed, and does not today exist....it is clear that the Apostolic See cannot on any terms take part in their assemblies, nor is it anyway lawful for Catholics either to support or to work for such enterprises; for if they do so they will be giving countenance to a false Christianity, quite alien to the one Church of Christ. Shall We suffer, what would indeed be iniquitous, the truth, and a truth divinely revealed, to be made a subject for compromise? Therefore, one cannot even say that the "apparent contradiction" has not been properly explained, for it has actually been completely ignored. 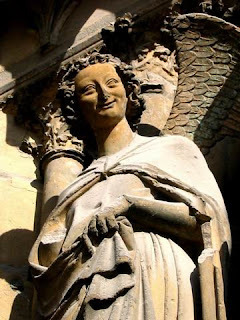 The Catholic faithful are left with documents which seem mutually contradictory - and it is certainly not the obligation of the lay faithful to test multifarious possibilities of interpretive harmonization. Our intent in this series, indeed, is not to resolve a theological battle, but to celebrate the crystalline doctrine of a stellar Pontiff, Pius XI. "It is predicted that an Instruction which clearly determines the criteria of application of the motu proprio will be made available... There have been confused reactions. Some have accused the Pope of having disowned the Conciliar teaching. On the other hand, there have been those who have interpreted the motu proprio as an authorization for the return of the pre-Conciliar rite only. Both [are] wrong positions, exaggerated episodes which do not correspond to the intentions of the Pope.."
We know that at the tribunal of the last day, the great Judge will not pass over offences; and the wounded and suffering Church is daily crying out to Him, "Lord, I suffer violence, answer thou for me." In her cry do we join, and for her behalf. Though meanwhile we clasp this shadow of reconciliation which is held out to us, until the day shall dawn and the shadows shall flit away and disappear. We will hold fast to the favour of this man [the King]as much as is possible, consistently with the liberties and honour of the Church, and will make trial by experiment whether he can be brought back to tranquility. ...it is our wish to remove every occasion of schism in these our days, and by your bounty to restore perpetual peace to the English Church. We say this to you before Him, who is the Judge of both of us, and to whom we must give account for all things. May He inspire you and show you what you ought to do. You have heard our anguish, but according to a proverb of our country, those only feel the heat who are near the fire. We believe that we shall return to England, but whether for peace or suffering, we know not. God knows in His providence what our lot shall be. We commend our lives to your prayers, Holy Father, and thank you for all the consolation you have given us in our time of need. You know, my most serene lord, that the man who has the power to correct what is wrong and neglects it, becomes a party to the crime. The above-named Ralph [de Broc] can have nothing to do in the matter, unless backed by your wishes and supported by your authority. Your discretion will be made acquainted with the answer which he returns to the king your son's letter, and you will judge of it according to your good pleasure. And whereas the church of Canterbury, which is the spiritual mother of the British isles, is evidently perishing in consequence of the odium which falls on us, we will serve her at the peril of our own life; we will expose our own head, with God's permission, to that persecuting Ralph and his accomplices; he shall kill us, not once but a thousand times, if God will only, by his grace, give us strength and patience to endure it. It was our intention, my lord, to return to you, but woe is me, necessity drives me to my suffering Church. I go thither by your licence and under your protection, to die in its behalf, unless your filial piety vouchsafe speedily to give me consolation. But whether we live or die, we are yours in the Lord, and ever will be: whatever may happen to us and ours, may God bless you and your children! An Instruction for a stable group of Exorcists in each diocese? ...Benedict XVI ... would intend to providentially deal [with the problem of diabolic forces] with an instruction, which could be published in the first months of the next year, that would determine that Diocesan Bishops... all over the world confer the mandate to perform exorcisms on a stable number of their priests. There have not been official confimations by the Vatican, being just a rumor for the moment. And the disciple whom Jesus loved also followed the Word, through near-martyrdom (before the Latin Gate) and exile, peacefully dying in the Lord. Saints Peter and John, pray for us! Sancta Maria, sperare nos tecum doce. 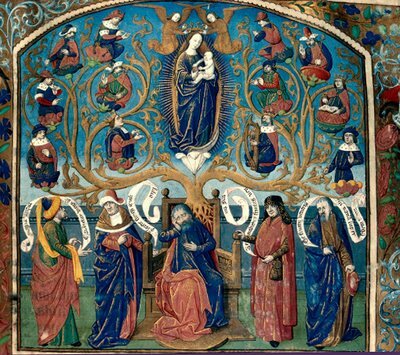 This Sunday marks the second anniversary of this blog, founded on the Fourth Sunday in Advent and named after its Introit - which contains the most familiar verse of Advent (Isaias xlv, 8). "For Traditionalists ..., the year [of 2006] was full of unfulfilled hope. Especially for those who go to Mass at churches and chapels run by Ecclesia Dei or diocesan priests, it was a bitter year: so many of these places of worship have been shut down and persecuted ..."
The motu proprio for the liberalization of the Traditional Mass and Sacraments, Summorum Pontificum, has certainly changed this equation. The persecution has not decreased in numerous places, but now the persecutors are seen as the true rebels against the authority of the Supreme Pontiff. And the number of new Traditional Masses has grown enormously around the world in the past few months: this consequence would have been a considerable advance even by itself. [Summorum Pontificum] is a legal revolution in the mutual cohabitation of what are now called the two forms of the Roman Rite: that is, the Missal of Paul VI may still be the "ordinary form", but it is not the standard compulsory form, from which some priests (due to particular deference or the charism of their order or society of apostolic life) are exempted due to special favor ("indult"). The age of the "indult" is over; the age of mere "episcopal generosity" is over: Summorum is a true liturgical Bill of Rights for all the priests of the Latin Church. 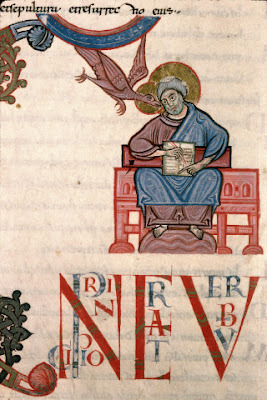 It is the end of indults, and exceptions, and personal permits: the Traditional Missal was "never abrogated" (editionem typicam...nunquam abrogatam - SP, Art 1). Indeed, the Holy Father went one step further; to the question which has always remained implicit ("Does any Ecclesiastical authority have the power to completely abrogate a sacred rite of immemorial origin? "), he gave a clear answer, though not a juridical one: "What earlier generations held as sacred, remains sacred and great for us too, and it cannot be all of a sudden entirely forbidden or even considered harmful" (Letter to Bishops regarding the Apostolic Letter Summorum Pontificum). May you all have a blessed Christmastide and a holy new Year of the Lord! 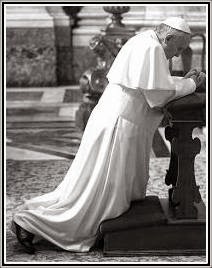 Clarifying Note on Summorum Pontificum "a few days away"
Yesterday, in the speech which the Pontiff traditionally addresses to the Roman Curia, Benedict XVI did not mention the signing of Summorum Pontificum among the events which took place in the course of the last few months. A few days before the publication of the expected clarifying note written by the Pontifical Commission Ecclesia Dei so that the Motu Proprio is applied without ifs and buts, it was probably not the moment to insist upon a topic which a part of the Church still has difficulties to digest as it must. ...Mary is in very truth full of the riches of a good life. Of this plenitude we can truly say: "The earth is the Lord's." By the earth is signified Mary, of whom we read in Isaias: "Let the earth be opened, and bud forth a savior!" What more lowly than the earth? What more useful? We all tread the earth under our feet, and draw from it the nourishment of our life. Whence have we food and clothing, bread and wine, wool and thread, flax, and all the necessities of life, except from the earth, and from the fullness of the earth? What, therefore, is more lowly, what more useful than the earth? In like manner, what is more humble, what more useful than Mary? She, by her humility, is the very least of all; by her fullness of grace, the most useful of all. For we have all that is needful for our spiritual life through Mary. Hear now the Psalmist: "The earth is the Lord's and the fullness thereof." The fullness of the earth consists in fruits and divers riches, according to the Psalmist: "The earth is filled with Thy riches." The fruits and the riches of this most full earth, Mary, are the works, the examples, and the divers merits of the most holy life of Mary. The Lord filled her with such riches and with so great gifts that it is said: "The Lord looked upon the earth, and filled it with his goods" (Ecclesiasticus XVI, 30. ). Saint Jerome, speaking of this fullness, says: "It was fitting that the Virgin should be pledged with such gifts, that she should be full of grace, she who gave glory to the heavens, God to the earth, who restored peace, who gave faith to the nations, put an end to vices, brought back order to life, and discipline to manners." And immediately afterwards, Isaiah begins the description of the sufferings and ignominies of Calvary, which he completes in twelve consecutive verses. Then he continues, resuming his hymns of triumph: "He that hath made thee shall rule over thee, the Lord of hosts is his name; and thy Redeemer, the Holy One of Israel, shall be called the God of all the earth". But it is at Babylon, during the captivity, six hundred years before Jesus Christ, that the Messianic idea becomes invested with a form which attains to mathematical clearness and precision. Must I recall to you the prophecy of Daniel? Listen then to it: "Seventy weeks are shortened upon thy people, and upon the holy city, that transgression may be finished, and sin may have an end, and everlasting justice may be brought, and vision and prophecy may be fulfilled, and the Saint of saints be anointed. Know thou therefore and take notice that from the going forth of the word to build up Jerusalem again unto Christ the Prince, there shall be seven weeks and sixty-two weeks: and the street shall be built again, and the walls in the straitness of times. And after sixty-two weeks Christ shall be slain: and the people that shall deny him shall not be his. And a people with their leader that shall come shall destroy the city and the sanctuary: and the end thereof shall be waste, and after the end of the war the appointed desolation. And he shall confirm the covenant with many, in one week : and in the half of the week the victim and the sacrifice shall fail: and there shall be in the temple the abomination of desolation: and the desolation shall continue even to the consummation, and to the end." I do not stop, gentlemen, to examine the striking features of this discourse, which resembles less a vision of the future than a narration of the past. The course of my subject bears me on and brings me to the foot of the second temple, to hear, five hundred years before Jesus Christ, those last words of the prophet Aggeus: "Yet one little while, and I will move the heaven, and the earth, and the sea, and the dry land, and I will move all nations; and the Desired of all nations shall come; and I will fill this house with glory, saith the Lord of Hosts. ...Great shall be the glory of this last house more than of the first, and in this place will I give peace." What continuity, gentlemen, through so many eventful centuries! What fidelity to one and the same idea from so many men separated by ages ! It is then certain, gentlemen, that the Messianic idea was the life of the Jewish people during the course of the two thousand years which preceded Jesus Christ; and that idea was held among all the nations of the earth with such unanimity, that it is not even possible to account for it by the communications of the Hebrews with the Gentiles, but it is necessary to suppose a diffusion of that idea even anterior to Abraham. And that Messianic idea, so extraordinary in its universality, its progress, its perseverance, and its precision, is it at length fulfilled? Yes, it is fulfilled; the one God, creator of the Hebrew Bible, has become the God of nearly all the earth; and the very nations that have not yet accepted Him render homage to Him by a certain number of adorers whom Providence elects from their midst. And who has accomplished this incredible revolution? One single Man, Christ. And whence came this Man, Christ? He was a Jew, of the tribe of Judah, of the house of David. And how has He accomplished this prodigious social and religious revolution? By suffering and dying, as David, Isaias, Daniel had foretold. 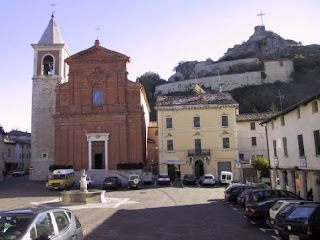 The small diocese of San Marino-Montefeltro, which includes the Republic of San Marino and surrounding Italian areas in the Marche, has a Bishop who could not remain silent regarding the correct reception of the motu proprio Summorum Pontificum. "Our Bishop Luigi sent to the Holy Father, Benedict XVI, the telegram we report below to serve as a sign of the gratitude of our Particular Church of San Marino-Montefeltro for the promulgation of the Motu Proprio "Summorum Pontificum Cura", reconfirming, at the same time, fidelity to the Person and to the Magisterium of the Pope". The Diocese of San Marino-Montefeltro, together with its Pastor, has received with gratitude and responsibility the Motu Proprio "Summorum Pontificum", recognizing in yhe directives proposed by Your Holiness a wider possibility for the education of the Christian people towards a faith which becomes truly a part of the person and a living presence in the entire society. Our Diocese has not been able but to feel sorry for the persistent silence of many in the Catholic world which seems to reveal at least discomfort, if not distance, from Your directives, and cannot refrain from indicating as a source of concern the taking of public positions which have sounded problematic in comparison with the Magisterium of Your Holiness. Your Holiness, our Diocese is small but has always been unconditionally faithful to the person and to the Magisterium of the Successor of Peter. We trust therefore that this our faithfulness, which we have willed to express with this gesture, may comfort You in Your service. We only ask for us the Apostolic Blessing. The news item posted here yesterday is true. We will repost it in the future. What does this bizarre affair better exemplify? The lack of credibility of Church leaders who refuse to face up to the pro-death organizations, but want Catholics to take a stand in a matter of environmental policy which is perfectly debatable? The unstoppable powers of Episcopal Conferences and their out-of control bureaucrats? 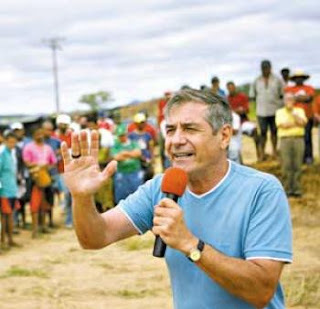 The upper echelons of the Brazilian Catholic Church have decided to lend their support to Bishop Luiz Cappio, who is on hunger strike against the diversion of water from the Sao Francisco river, after the government confirmed it would go ahead with the project. The authorities argue that the work is essential to provide water for millions of poor people in the semi-arid northeast, the country’s poorest region. 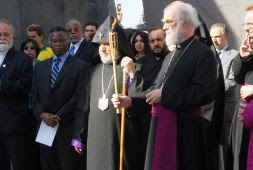 The decision by the National Conference of Brazilian Bishops (CNBB) was announced after a meeting between high-ranking Church representatives and President Luiz Inácio Lula da Silva, who told them that the project would continue, and that it was the Church’s own responsibility to intercede with Cappio to give up his fast, which he began on Nov. 27. Instead, the CNBB decided to throw its weight behind Cappio, 61, a member of the Franciscan order and bishop of the diocese of Barra, in the northeastern state of Bahia. The CNBB issued a communiqué calling on all Christians to join Dom Cappio in fasting and prayer, for his life and his health, and in solidarity with the cause he is defending. And will the Holy See just stand by? In the picture: Bishop Cappio, who seems to have put his Franciscan habit back on for his hunger strike stunt. Monsignor Lupi: A day in the Vatican to solemnly profess fidelity to the Church. The Bishop-elect of Savona Noli swore, yesterday morning, an oath of fidelity to the Church before the Vatican Pontifical Commission "Ecclesia Dei", in the hands of the Eminent Cardinal Dario Hoyos Castrillon [sic]. The oath solemnly confirmed the recognition of the Primacy of the Supreme Pontiff, the commitment to proclaim the Word [of God], to exercise the government over the People of God entrusted to him, inviting the Bishop-elect to follow the path towards Holiness. The derogation of the secret vows of the Legionaries. The Pope has derogated the private vows of the Legionaries of Christ, precisely those which were used by the superiors of this religious congregation to protect themselves from possible complaints. The sources of news agencies indicate that these are "parallel measures" to the disciplinary penalty imposed on Marcial Maciel for sexual abuses in 2006. Pope Benedict XVI had personally asked for the repeal of the private vows professed by the seminarians and priests of the Legionaries of Christ. These were oaths, related to the internal life of the order, which assured its secrecy and impermeability: the first [oath of "charity"] prevented any kind of criticism of superiors and their decisions by members, while the second [oath of "humility"] forbade the religious men from aspiring to positions within it. On the 2nd December 2007 the Dublin Latin Mass Chaplaincy held its inaugural Sunday Mass in its new home, St Kevin's, Harrington St. There had been a regular Sunday Mass in the more ancient form in Dublin ever since the Ecclesia Dei indult, but in response to Summorum Pontificum (Art. 10) the Archbishop decided to establish a dedicated Chaplaincy, to provide daily Mass and the other sacraments. The new location, St Kevin's, is a splendid neo-Gothic building designed by Pugin and Ashlin. It is located not far from the city centre, just a ten-minute walk from St Stephen's Green. Thankfully this church was spared the worst destruction of recent decades, and has its altars, pulpit and most of its altar rails intact. The first Sunday of Advent saw the church packed with a congregation of about 600. High Mass was celebrated by the Chaplain, Fr Deighan, and his two assistants, Frs Nevin and Richardson. All are diocesan priests. Two other priests, religious, were hearing confessions from before Mass began. A large team of altar boys led the way to the sanctuary, and clouds of incense mingled with the ethereal strains of Palestrina's Missa Brevis. It was an unforgettable occasion. Visitors to Dublin might like to note that the Sunday Mass is at 10.30 a.m., while weekday Masses are at 8.00 a.m. Monday to Friday, and 9.00 a.m. on Saturdays. The Chaplain may be contacted at latinmass AT dublindiocese DOT ie. Our warmest congratulations to this large congregation and to its chaplain, the Reverend Father Deighan, to his assistants, the Reverend Fathers Nevin and Richardson, to the other priests, and also to the Most Reverend Archbishop of Dublin for his faithful implementation of Summorum Pontificum. The 19-page "Doctrinal Note on some Aspects of Evangelization" of the Congregation for the Doctrine of the Faith, which will be made public next Friday, was signed last December 3, Feast of Saint Francis Xavier. Mentioning the Council, the Note recalls that truth "cannot be imposed except by the force of truth itself", but explains that to honestly stimulate the intelligence and freedom of a person "towards an encounter with Christ" cannot be considered an undeserved interference: the incorporation of new members to the Church is not, in fact, the extension of a group of power, but the "admission to a web of friendhip" with Jesus. Regarding ecumenism, the Note explains that the simple fact that a non-Catholic Christian decides to enter into the communion of the Church of Rome is not be considered negative "proselytism". On December 8, the Feast of the Immaculate Conception, Cardinal Hoyos, president of the Ecclesia Dei commission, received representatives of a dozen associations of Faithful calling for the implementation of the Motu proprio in their respective dioceses. Prayer is always necessary but even more so in our time when progressivism has wreaked havoc in the heart of the Church. He cited the lack of piety and respect for things holy and the difficulty of attempting to make these things meet contemporary taste on account of bad habits that have been acquired. The Cardinal asked to bear in mind that the since the Church is universal, problems and solutions may not be uniform and that time is needed to design and implement reforms. Practical intelligence will be crucial: His Eminence has recommended we not be impatient, but rather to act in a spirit of goodwill which will undoubtedly help us. He spoke for several minutes about the Priestly Fraternity of St. Pius X with an obvious desire for reconciliation while insisting that we all keep in mind that Tradition is for the good of the entire Church and not just a few. Charity demands that it be given to all, even those who do not seem to appreciate it. Finally Cardinal Hoyos said that it is only a minority in the Universal Church who are totally opposed to the traditional liturgy and piety. There is much more ignorance than actual ill will to be dealt with. Sociological views play too big a role and lead to misunderstandings; hence the importance of always practicing charity in order to break down prejudices. 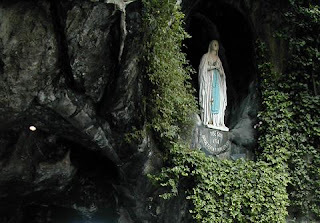 After her apparitions at Lourdes, the Holy Virgin has not ceased to manifest her great maternal concerns for the fate of mankind in her several apparitions worldwide. She has everywhere asked for prayers and penance for the conversion of sinners, for she predicted the spiritual ruin of certain nations, the sufferings that the Holy Father would face, the general weakening of the Christian faith, the difficulties of the Church, the rise of the Antichrist and of his attempts to replace God in the life of men, attempts which, despite their instant success, would nevertheless be destined to fail. Here, at Lourdes, as everywhere in the world, the Virgin Mary is weaving a enormous web of her spiritual sons and daughters in the whole world in order to launch a strong offensive against the forces of the Evil one, to lock him up and thus prepare the final victory of her divine Son, Jesus Christ. The Virgin Mary invites us once again today to be a part of her combat legion against the forces of evil. As a sign of our participation at her offensive, she demands, among other things, the conversion of the heart, a great devotion to the Holy Eucharist, the daily recitation of the rosary, unceasing prayer without hypocrisy, the acceptance of sufferings for the salvation of the world. Those could seem to be small things, but they are powerful in the hands of God, to whom nothing is impossible. As the young David who, with a small stone and a sling, brought down the giant Goliath who came to meet him armed with a sword, a spear, and a shield (cf. 1 Sam 17,4-51), we will also, with the small beads of our rosary, be able to heroically face the assaults of our awesome adversary and defeat him. The struggle between God and his enemy still takes place, even more so today than at the time of Bernadette, 150 years ago. Because the world finds itself stuck in the swamp of a secularism that wishes to create a world without God; of a relativism that stifles the permanent and unchangeable values of the Gospel; and of a religious indifference that remains undisturbed regarding the higher good of the matters of God and the Church. This battle makes innumerable victims within our families and among our young people. 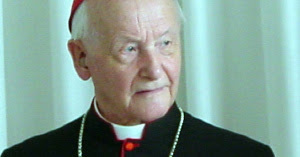 Some months before becoming Pope John Paul II, Cardinal Karol Woytjila said (November 9, 1976): "We are today before the greatest combat that mankind has ever seen. I do not believe that the Christian community has completely understood it. We are today before the final struggle between the Church and the Anti-Church, between the Gospel and the Anti-Gospel." 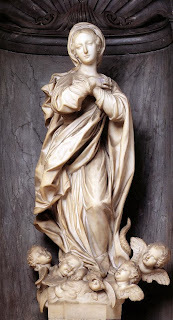 One thing remains certain: the final victory belongs to God and that will happen thanks to Mary, the Woman of Genesis and of the Apocalypse, who will fight at the head of the army of her sons and daughters against the enemy forces of Satan and will crush the head of the serpent. Mediator Dei, as it is known, is the incipit of the Encyclical of the Servant of God Pope Pius XII: the most organic pronouncement of the Magisterium of the Church on the Liturgy which has ever been produced. The Constitution on the Liturgy of Vatican II itself is founded on the Encyclical's doctrinal principles, following and developing its structure. What is so surprising when one reads a document written sixty years ago is to realize its relevance still for today: it stems from pastoral intention and opens the path for ‘liturgical pastoral’, as demonstrated by the “instaurationes” or reforms which followed in the following decade, the most famous was the Order of Holy Week (1955), inaugurated in 1951 with the restoration of the Easter Vigil and its original character. Pastoral concern is also documented in the method: it does not suddenly impose an arrangement which upsets the system of ‘liturgical unity’ (Mass, Office, Calendar…), but proposes a gradual restoration of the oldest parts, without however eliminating the developments, since the Liturgy like the ecclesial body is a living organism: parts cannot be amputated simply because they were not there at birth. Something like the method applied to works of art. Certain studies shed light on the principles which guided that great Pontiff, especially the principle of innovation in continuity, very different from archaeologism and creativism (Cf. esp. : C.Braga, La riforma liturgica di Pio XII. Documenti-1.La ‘Memoria sulla riforma liturgica’, Roma 2003, CLV, BEL 128; N.Giampietro, Il Card.Ferdinando Antonelli e gli sviluppi della riforma liturgica dal 1948 al 1970, SA, Roma 1978.). John XXIII and Paul VI intended to continue the path and method of Pius XII, as it is seen from the 1962 and 1965 editions of the Missal. Now, the Motu proprio of Benedict XVI reconnects with that traditional arrangement and an innovative time. Well known is Dostoevsky's statement in “The Brothers Karamazov”: “If someone could show me truth which is found outside of Christ, I would prefer to remain with Christ rather than with that truth”. Probably not theologically correct, but it expresses what is essential for a Christian: the distinction between the Church and the world, as between salt and the dish to which it must give taste. The world may accept the tradition, thought, art, values of Christianity and perhaps even the moral example of Christ: but the spirit of the world will never allow itself to be possessed by the spirit of Christ since it aspires continually to autonomy. Whereas the Church is totally relative to Christ: and if she sought not to be, she would no longer be the Church. The Church's worship or liturgy manifests this relation totally, as the Encyclical Mediator Dei affirms in its beginning. Otherwise something similar to Christian worship, but without Christ, is created. Either worship far from the glory to be given to God and from the salvation to be given to ma - concerned with celebrating itself, the community, the priest -, or worship confined to an evanescent ‘spiritual’ dimension, in which awareness and experience are sacrificed, in exchange for a solely aesthetic satisfaction. In both cases we have the rejection of the essential method of Christianity, that of a communion to adhere to and to obey, which is the necessary presupposition for man to approach and then participate in worship. 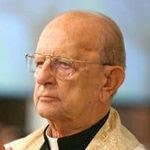 One of the Italian bishops most attentive to the Liturgy writes among other things: “Pelagianisim, in its various gradations, is always a danger for the life of the Church (even when Grace is hardly mentioned, even when almost nothing is known of the contents in which it was generated and had its acute manifestation). If the Pelagian mentality is applied to the Liturgy, more importance and emphasis is given to the exterior action performed by man than that which Christ performs through the instrumental ministerial action by the person whom He enabled to act ‘in persona Christi et Ecclesiae’, through the Word which is announced, the signs performed. We come to forget that what counts is the divine action of the Spirit, of Grace, not that of man, whether he be the individual believer, the community or the Minister himself” (Mons. Mario Oliveri, La Divina Liturgia, Albenga 2007, p 7) . The presumption of creating a new liturgy and the existential and cultural weakness of the Church, helped to create a climate in which abuses, signs of rebellion and disobedience took root, so opposed to the obedience of Christ - even unto death on the cross -, whom the Liturgy should essentially announce. So that, as someone said, those who should have come into the Church with the liturgical reform remained outside. We do not know what will happen in the future, but we Christians have the responsibility to witness that the nihilism and relativism which have penetrated the liturgy cannot win, they have been already defeated by the One who continually “makes all things new”(Rev 21,5). If all this had been taken more into consideration with the implementation of the post-council liturgical reform, we would have avoided traumas and contrapositions. Now, a season opens in which frank and calm discussion of ideas must prevail, because no one alone represents the whole Church, except the Bishop of Rome; not lacking must be assistance from worthy liturgical institutions, in primis those guided by the Benedictines, under the guidance of the Congregation for Divine Worship, supreme moderating authority of the liturgy “to preserve or obtain reconciliation and unity” (Letter of Benedict XVI to Bishops regarding the Motu proprio Summorum Pontificum). 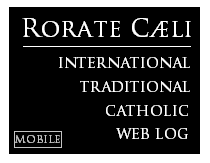 Translation by Fides; Adapted or corrected by Rorate Caeli. Oh, Lucifer - no longer art thou the bringer of the light, but the prince and ruler of the darkness. And now thy kingdom is invaded by the dawning day, and Mary is the bringer of the light. The instant is come for that elected creature to appear, who, of a daughter of Eve, is made the Mother of God. 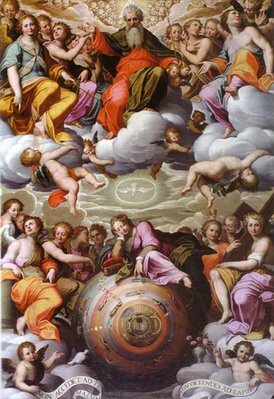 Chosen in the counsels of eternity; associated with the Son of God from the beginning of the sacred plan; revealed to the angels with her Son; assailed by the proud and aspiring Lucifer for her lowliness, because of Him who lifts up the lowly; revered by the angelic hosts as their Queen, and the animated temple of their Lord; proclaimed to our first parents as the antagonist of their destroyer, and as destined with her Son to crush the serpent's head; contemplated and preached by the prophets, as The Woman and The Virgin, who was to bring into the world its long-desired deliverer; prefigured by the noblest women of Israel; renowned in the tradition of the Gentiles through their Sybils, and sung by their poets; daughter of Abraham, of Juda, and of David—of a lineage which God had upheld and protected for more ages than the Christian Church yet numbers, and so illustrious only because it is destined to terminate in her; closing the Old Testament and opening the New; the repairer of woman and the Mother of salvation to mankind; raised to an office, to a dignity, and an alliance with her God, which, next to her divine Son, makes her one and unapproachable in excellence; above the angels, yea, above the Seraphs, for which of them can say to God, "Thou art my Son? "—this Mother of God is about to pass, from God's eternal counsel, to created life. The Father contemplates the forming of the fairest of His daughters;—the Son considers the graces which are suited to His Mother;—the Holy Ghost prepares to sanctify the chosen spouse whom His Spirit shall search and His power overshadow. It was on the sixth day, and after He had prepared the world for the residence of man, that out of the deep counsels of His Most Blessed Trinity, the Almighty spoke the final word of creation: "Let us make man". He formed Adam from the innocent earth, He drew Eve from his innocent side, He graced them with pure and holy souls. For four thousand years have their descendants multiplied in sin, sprung from the disobedience of that guilty pair, till they have covered the earth with a terrible history. And to each germ that buds from that bitter root, by virtue of His primal gift and promise, God owes an immortal soul. But no sooner does a soul come to animate the new offshoot from that old stock of Adam, than it is overmastered by the contamination which flows forever onwards from corrupted source. But a bud is springing from the root of Jesse; and the poison of the serpent shall not infect it, nor shall his foul breathings blight its beauty. The Adorable Trinity is about to pronounce the creative word: "Let the Mother of God be made". A great letter by Cardinal Hummes, Prefect of the Congregation for the Clergy, to all Bishops of the world. there are really many things to be done for the true good of the Clergy and for the fecundity of the pastoral ministry in today’s circumstances, but precisely because of this - though with the firm determination to face such challenges without avoiding difficulties and efforts, with the awareness that action follows being and that the soul of every apostolate is divine intimacy - we intend to start from a spiritual movement that, leading to an increasing awareness of the ontological link between Eucharist and Priesthood, and of the special maternity of Mary towards all Priests, may give life to a “roped party” of perpetual adoration for the reparation of faults and sanctification of priests. 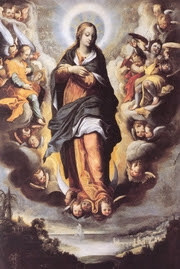 as well as for the prompting of a commitment on the part of consecrated feminine souls, so that - on the typology of the Blessed Virgin Mary, Mother of the High and Eternal Priest, and Associate in his work of Redemption - they will wish to spiritually adopt priests in order to help them with their self-offering, prayer, and penance. Thereby – and precisely because of the place occupied and the role performed by the Most Holy Virgin in salvation history – we intend, in a very particular way, to entrust all Priests to Mary, the Mother of the High and Eternal Priest, bringing about in the Church a movement of prayer, putting continual eucharistic adoration throughout the 24 hours at the centre, so that a prayer of adoration, thanksgiving, praise, petition, and reparation, will always be raised to God, incessantly from every corner of the earth, with the primary aim of awakening a sufficient number of holy vocations to the priestly state and, at the same time, spiritually accompanying. with a kind of spiritual maternity – at the level of the Mystical Body – all those who have already been called to the ministerial priesthood and are ontologically conformed to the one High and Eternal priest, so that they will serve Him and their brethren better and better, as those who, at one and the same time, are “in” the Church but also “facing” the Church standing in Christ’s stead and representing Him, as head, shepherd and spouse of the Church (cfr PdV n. 16). 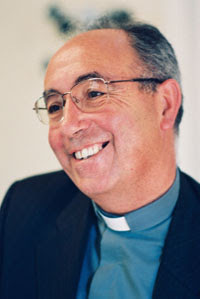 We are asking, therefore, all diocesan Ordinaries who perceive in a special way the specificity and irreplaceability of the ordained ministry in the life of the Church, together with the urgency of a common action in favour of the ministerial priesthood, to become an active part and promote – in the different portions of the People of God entrusted to them - , veritable cenacles in which clerics, religious and lay people - united among themselves in the spirit of true communion - devote themselves to prayer, in the form of continual eucharistic adoration, , also in the spirit of genuine and real reparation and purification. For that purpose, we enclose a leaflet that aims at a better understanding of the nature of the initiative, and a form to kindly fill out and send back to this Congregation if there is the intention – as we hope - to adhere, in the spirit of faith, to the project that has been introduced here. May Mary, Mother of the one, Eternal and High Priest, bless this initiative, and may she intercede before God, asking for an authentic renewal of priestly life, taking as a model the only possible one: Jesus Christ, the Good Shepherd! I greet you cordially in the Bond of ecclesial communion with feelings of profound collegial affection. On the occasion of the 150th anniversary of the manifestation of the Blessed Virgin Mary at the Grotto of Massabielle, near Lourdes, a plenary indulgence is awarded daily to the faithful who, from December 8, 2007, to December 8, 2008, visit piously and according to established conditions, visit the Grotto of Massabielle, and, from February 2-11 2008, to those who visit, in any temple, oratory, grotto, or decorous place, the blessed image of the Blessed Virgin Mary of Lourdes solemnly exposed to public veneration. A. - if, from the 8th of the month of December 2007 to the entire 8th day of the same month of the next year of 2008, devoutly visit, preferably in the proposed order: 1. - the parish baptistery used for the baptism of Bernadette; 2.- the house called "cachot" of the Soubirous family; 3.- the Grotto of Massabielle; 4.- the chapel of the hospice, where Bernadette made her First Communion, and, at every time, remain for a certain amount of time in pious meditation, concluding with the Lord's Prayer, the Profession of Faith in any legitimate form, and the jubilar prayer or other Marian invocation. 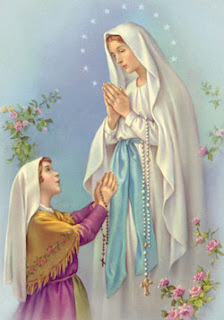 B.-if, from February 2, 2008, on the Presentation of the Lord, up to the complete day of February 11, 2008, in the liturgical memory of the Blessed Virgin Mary of Lourdes and 150th anniversary of the Apparition, devoutly visit, in any temple, oratory, grotto, or decorous place, the blessed image of the Blessed Virgin Mary of Lourdes, solemnly exposed to public veneration, and take part before the same image in a pious exercise of Marian devotion, or at least remain for a certain amount of time in pious meditation, concluding with the Lord's Prayer, the Profession of Faith in any legitimate form, and a Marian invocation. C.- The aged, the infirm, and all those who, for legitimate reason, cannot leave their house, may also achieve, in their own house or there where the impediment retains them, the plenary indulgence, if, in the days of February 2-11, 2008, with the rejection of every sin and the intention of fulfilling, as soon as possible, the three conditions, spiritually accomplish, with desire of heart a visit, (to the aforemention places), recite the aforementioned prayers and offer the infirmities and discomforts of their lives faithfully to God through Mary. The growing sea of non-practicing Christians in your Dioceses perhaps merits examining: "the effectiveness of current approaches to Christian initiation,..."
[Expresso] The return of the Latin masses has generated contradictory reactions. Portugal seems indifferent relatively to this decision of the Pope. The Russian Orthodox Church would never recognize the current status of Catholic dioceses in Russia, the head of the Moscow Patriarchate Department for External Church Relations Metropolitan Kirill of Smolenk and Kaliningrad stated. ‘We shall never recognize them and will always dispute the presence of ordinary Catholic dioceses in the territory of Russia and consider it a challenge to our common idea of sticking to a territorial principle of Church administration’, the hierarch said at a church and scientific conference in Moscow. The Vatican decided to increase the status of its apostolic administrations in Russia up to the level of dioceses in 2002 thus causing a protest of the Russian Orthodox Church. 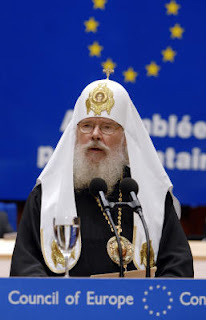 ‘We consider it a mistake, which indeed damages the Orthodox-Catholic dialogue and puts off a possibility of achieving our common aims’, Metropolitan Kirill stated commenting on the 2002 events. He said that arguments of the Moscow Patriarchate’s opponents were unjustified as they alleged that the Russian Orthodox Church in Europe had its dioceses set up on the same principle as the Catholic dioceses in Russia. ‘Dioceses of the Moscow Patriarchate in diaspora are not ordinary. Neither are they connected with local jurisdiction. They were established to provide pastoral care for people in diaspora, they do not have strictly defined boarders. In a certain sense, they are unusual dioceses and we always underline it in our dialogue with the Catholics’, the representative of the Russian Church noted. The news from Primate Archdiocese of Mexico is by now well-known around the world, but no less significant. Visiting Mexico, Mons. 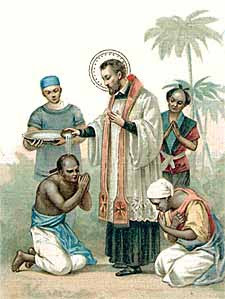 Rudolf Michael Schmitz, ... Superior of the Institute of Christ the King Sovereing Priest in the United States, celebrated four Masses in Mexico City according to the liturgical canon of the Council of Trent, of the time of Saint Pius V. The first was in La Profesa, in the Historical City Center; two in the Guadalupe Township (in El Pocito and in a small chapel of the Basilica), and the last one in the Metropolitan Cathedral Church. Thank you, Virgin of Coromoto! Congratulations to the small majority of the Venezuelan people who rejected the Constitutional reform proposed in August which would have established an official Socialist State in that nation - a development which had been quite predictable. 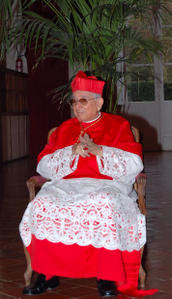 Despite all the pressure of an almost-omnipotent government and the severe limitations of free speech in the Chávez regime, Venezuelans listened, among others, to the wise words of their Bishops, who repeatedly warned the people of the dangers of such a change - and were insulted and humiliated for it. 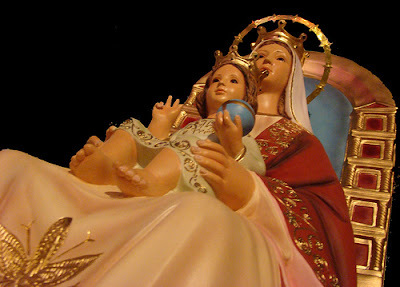 The Bishops of Venezuela had asked for the protection of the Patron of that nation (the beautiful Virgin of Coromoto, who holds in her arms the King of the Universe) in their warnings against the Constitutional changes. She did not fail. 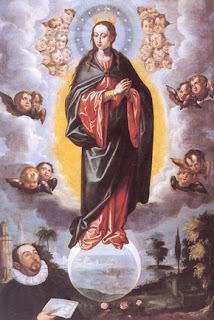 Virgen de Coromoto, pray for Venezuela! Pray for Latin America!